What Facebook Page Permissions Will I Need? 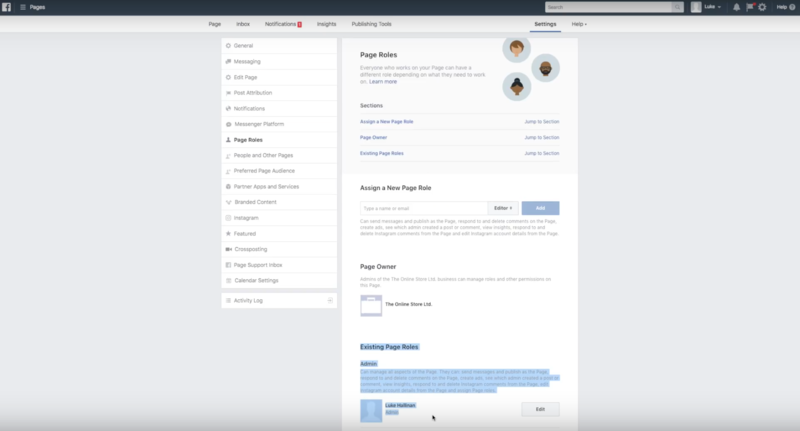 While you're here you should double check that your business manager account owns the Facebook Page that you want to connect Shoelace to. You can do this by checking whether the Business Manager Account referenced in the "Owned by" section in Business Settings matches the Business Manager that you are logged into. You should also make sure you have the correct permissions for both your Facebook Business Manager and Facebook Ad Account.